Being how long it took my husband and I to finally get pregnant, I took a lot of pride in doing the nursery (a little too early lol). Of course, my husband wasn't very into the decorating part, which was great for me because I got to choose everything I wanted! Yes, once in a while on something pricey, I would ask for his OK to purchase, but Kev is an easy guy like that - he's got the whole "yes, honey" down pat. 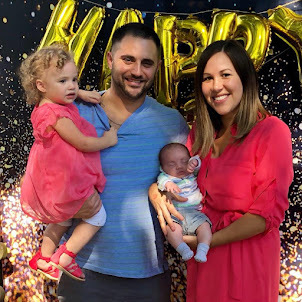 Happy wife, happy life, right? Since our unborn baby is a girl (9 more weeks!! ), I wanted something elegant but with that pink flare to add something that shouted "girl." 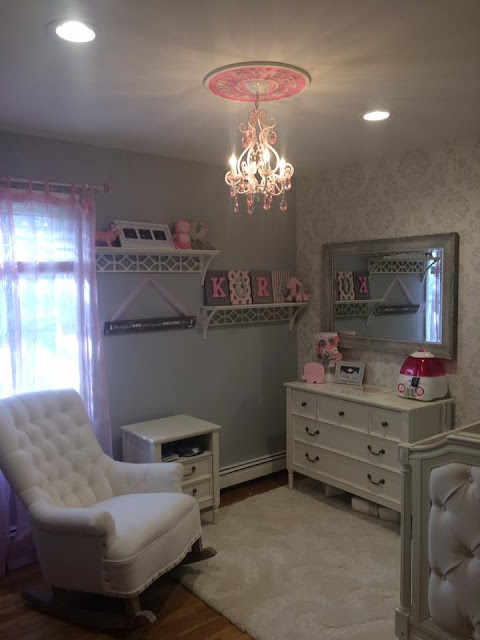 Below you will find pictures of baby Kora's nursery and links to where most of the items were purchased. 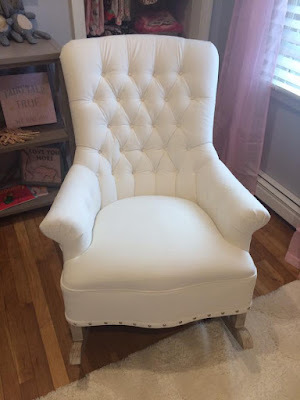 I really do love the way this came out, but I still have some items in need such as pink curtains, the rocker which is on order, and a pouf or ottoman for our feet. 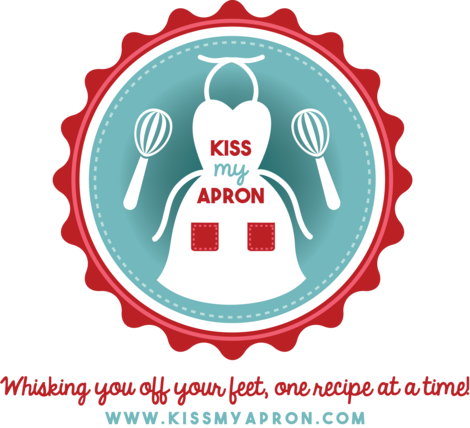 I have been keeping my eyes open and look forward to updating this post once it is fully complete! Our house, built in 1986, was owned by an older gentleman and his wife. Both had passed, and we bought the house from their four children. 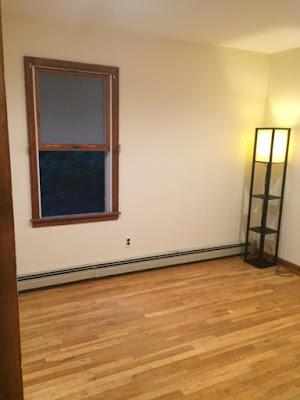 Not much updating was done, until we moved in. The doors and trims were all dark brown, and the entire house painted in a beige color. I would save random pics from the internet of the styles I liked, and tried to do my best to match them. 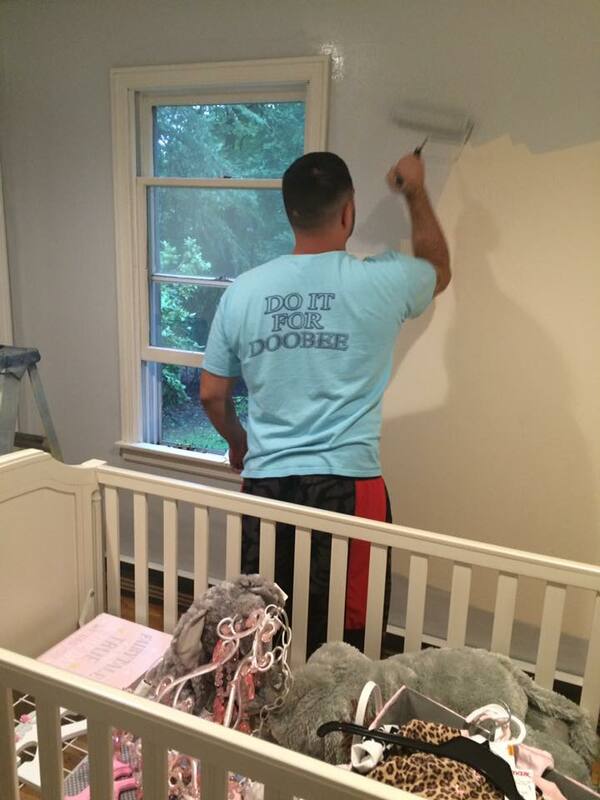 We started with painting the walls. The color was silver bullet by Behr. One of the biggest issues with the nursery was finding an actual gray color. Still not entirely satisfied, silver bullet has a bit of a purple undertone to it. 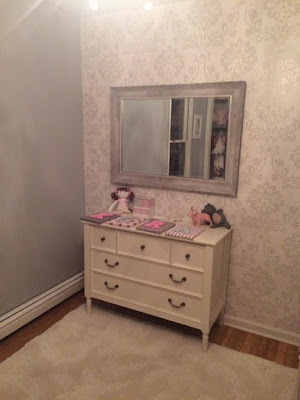 The other colors we tried had blue undertones, which just wasn't right for a girl's room in our opinion! After finally giving up, we just stuck with the silver bullet. 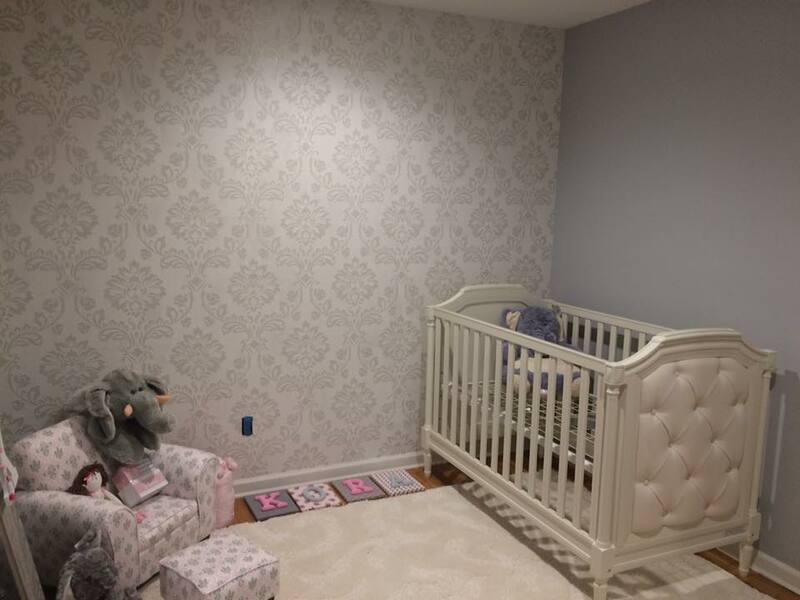 One of my favorite parts of the nursery is the wallpaper. 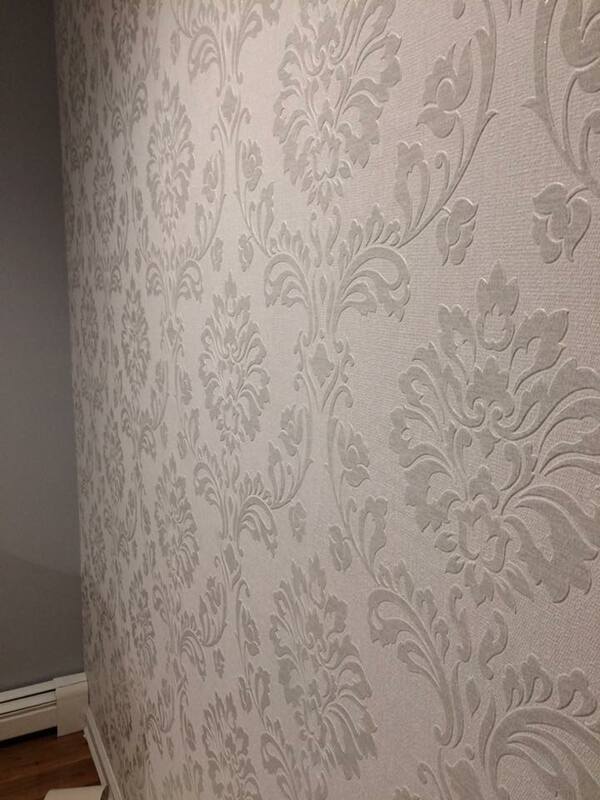 My husband probably hates me for wanting to do one wall with wallpaper (hey, better than wanting to do all four walls), but after putting it up, he agreed the sweat and hard work was worth it. 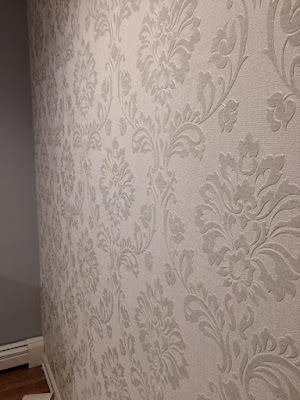 It is not easy to match up the designs, paint the wall with glue, and the paper with glue before finally pressing it against the wall evenly and smoothly. I love how the paper is textured, which also helps to hide the seems. The wallpaper was 32$ a roll and I needed two rolls to do one wall, and the inside of the closet. We get tons of compliments on this next piece. 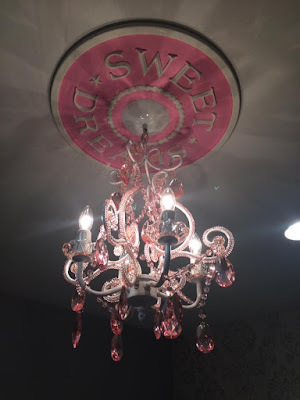 I hand painted the medallion on the ceiling, which was purchased from Etsy here for about 34$ plus shipping. Painted medallions get really pricey on there, so it is worth doing yourself. The actual chandelier is from Home Depot. It was perfect size and not cheap or gaudy looking. 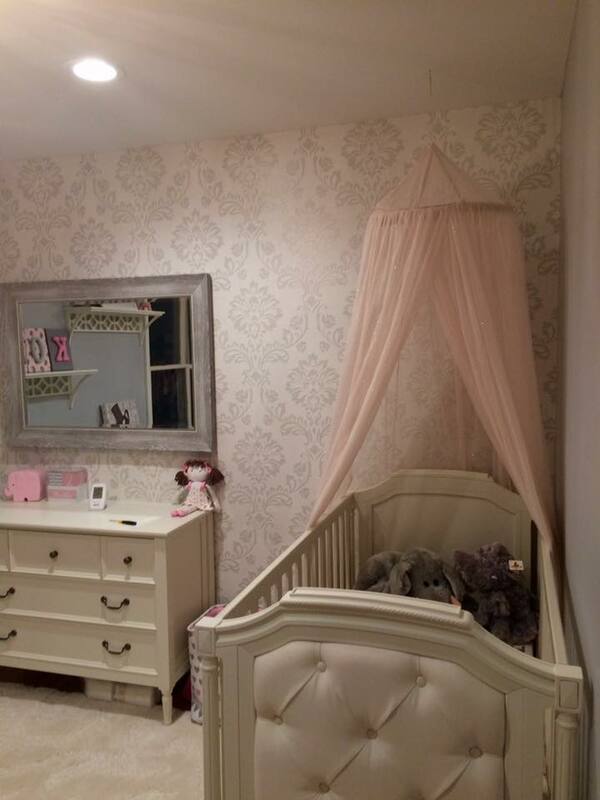 It is elegant and the lighting is perfect for a nursery - very soft and not too bright. It also adds the pop of pinks we were hoping for. We had quite a bit of space on this wall and I wanted to fill it with some shelving. 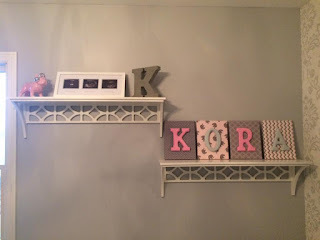 My husband offered to build some for me, but I saw these two shelves on Pottery Barn Kids and hit a good sale around Black Friday. I am really happy with them! I found this book case on wayfair.com and already started filling it with my favorite childhood books! I cannot wait to read to baby Kora. 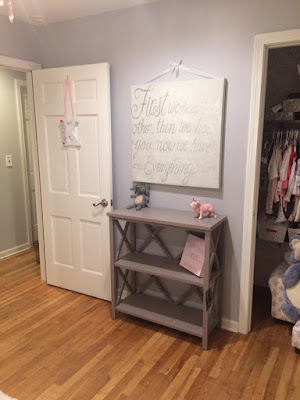 Book cases are always a wonderful idea for the nursery if you are looking to fill some space on a wall. We built the closet ourselves, with shelving from Home Depot. If you can see, we took the door off and covered the back wall with the same wallpaper above (also from Home Depot). I bought storage containers from home goods to use for socks, head bands, shoes and other smaller items. 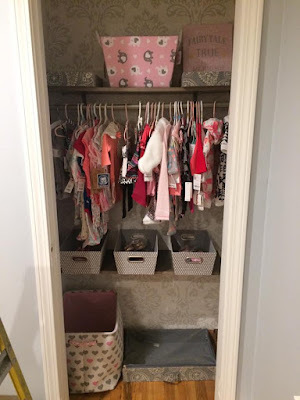 The baby's dresser was a gift from my parents. It was apart of the Pottery Barn Blythe Collection. We had to get the smaller dresser to save some space, and we topped the dresser with a gray mirror from Home Goods. We will use the top of the dresser for a changing table. 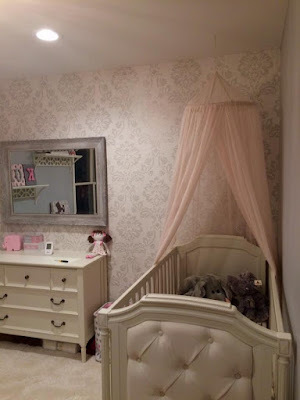 The crib is also from Pottery Barn's Blythe Collection and was the first item we bought for the room. I saw it on Pinterest and knew it was a must have. We are still waiting for a mattress and the bedding (which we hopefully get for our baby shower in mid January)! 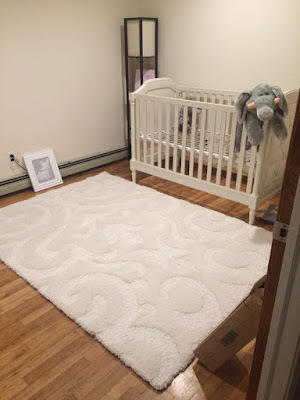 The rug was also purchased from Home Goods (clearance deal for 100$)! It is super soft and neutral in color to match the furniture. 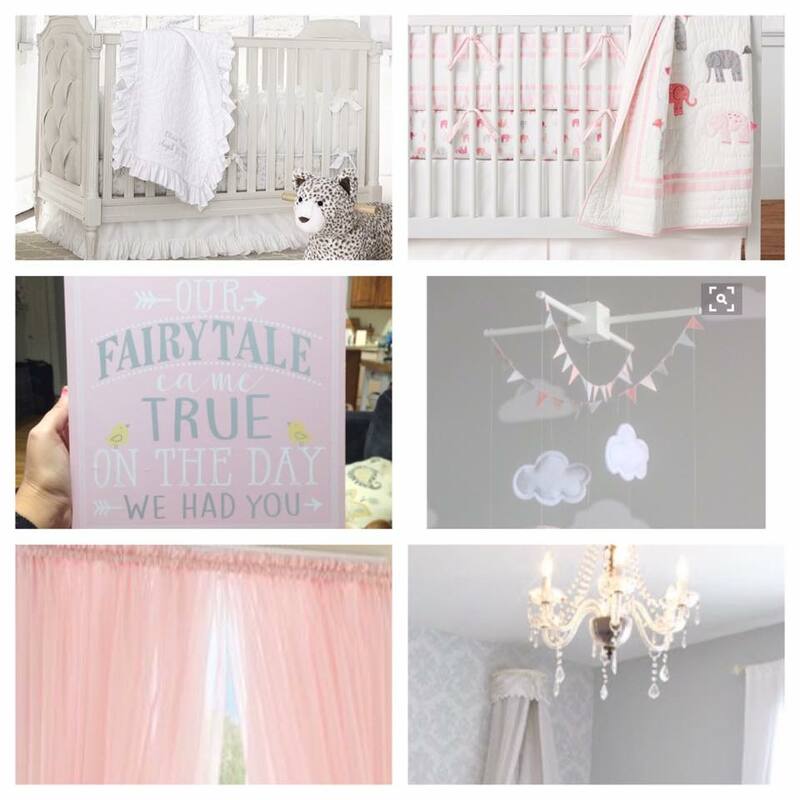 Adding pops of pink through the crib bedding, a canopy for over the crib, pillows for the rocker and pink curtains for the window. We hope you enjoyed our nursery progress and again, I look forward to updating the post when our rocker and other items arrive!